Today I want to share with you another super simple, quick to make recipe that is perfect for weeknights and keeps your meals clean and fresh! 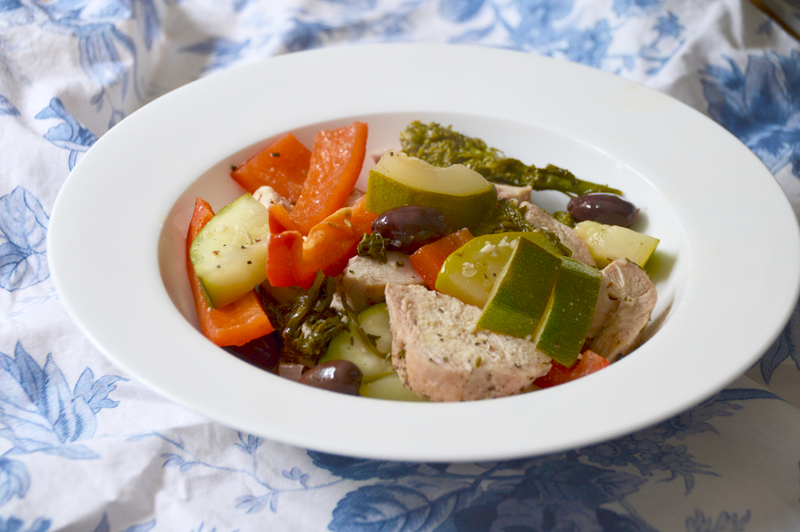 This Mediterranean Chicken dish has just a few simple ingredients and takes about 30 minutes from start to finish. 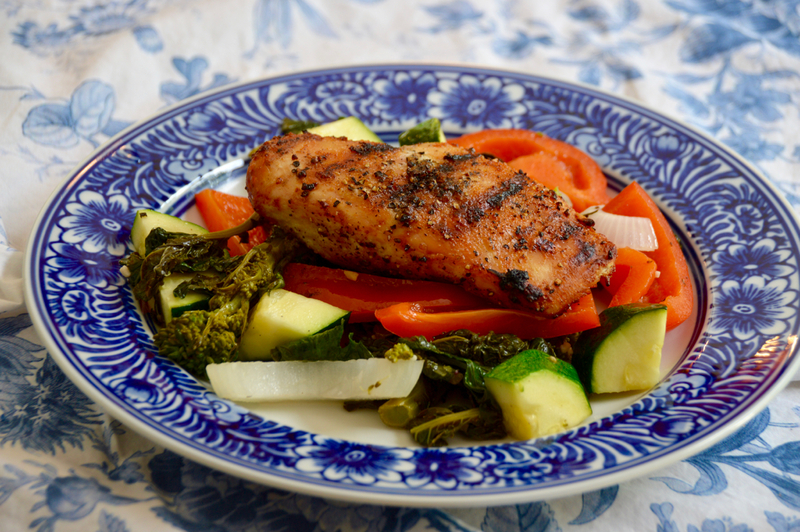 Start with just a simple grilled chicken breast, seasoned with garlic powder, salt and pepper. If you're making this in the colder months, then roasting it is also an option. Boneless, skinless chicken breast gets a bad rep because it can easily become too dry or chewy if even slightly overcooked, so use a meat thermometer and when the chicken reaches 165 degrees internally, pull it from the heat and let it sit for a few minutes. It should only take 5-7 minutes per side depending on the thickness of the chicken breast. Also make sure to use a little olive oil rubbed on each side to help keep moisture in and prevent it from sticking to the grill plates. This is a Mediterranean style dish, so that means kalamata olives, red bell peppers, garlic, onions, zucchini, and my personal favorite, broccoli rabe. 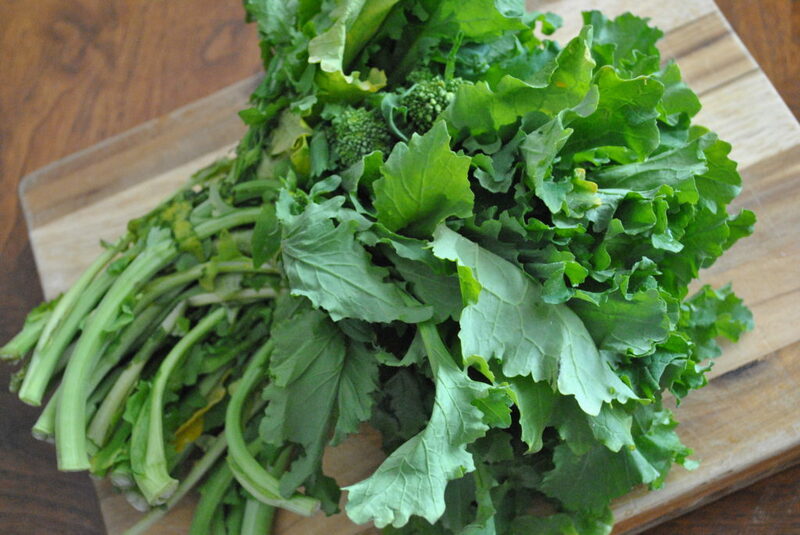 Broccoli rabe isn't like regular broccoli. It has a bitter taste, but when sautéed with some garlic and salt, it turns into a very delicious vegetable. A lot of Italian restaurants use it mixed with hot sausage and pasta dishes. I like to sauté it with slivers of garlic, good olive oil, a little broth, some white beans and spaghetti for a super easy and quick dinner. For this recipe, the broccoli rabe gives the dish a little extra unexpected flavor, which I love. It's an acquired taste, just like olives, so if you don't like them, simply don't use them! This is one of those dishes that is really good to freeze, so making an extra batch is never a bad idea! 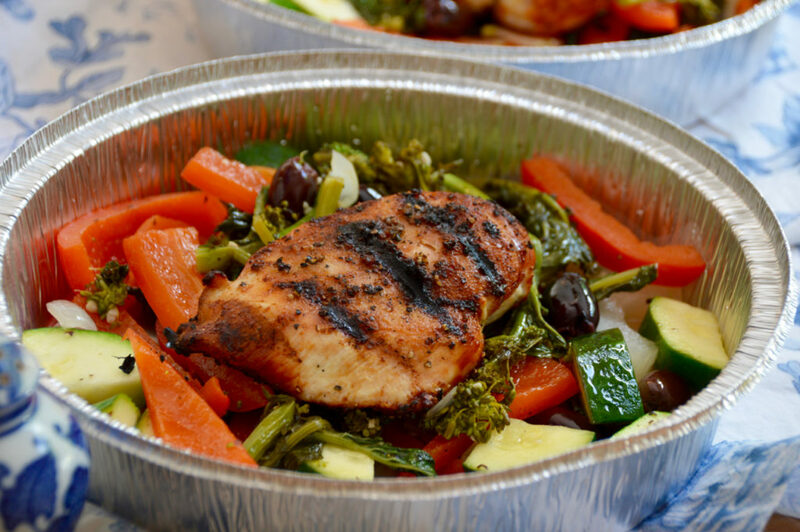 Mediterranean chicken is on my meal delivery menu in part because of this! It's a quick, delicious meal that (if you're not already) will make you the biggest fan of broccoli rabe! Rub chicken with olive oil on both sides, then season chicken on both sides with a few sprinkles of garlic powder, salt and pepper, then grill over high heat for 6-7 minutes each side, making sure the internal temperate reaches but doesn't go over 165 degrees. Remove chicken and set aside. In a large pan, heat about 1 TBS olive oil over medium-high. Add garlic, peppers, zucchini and onion. Let the onion and pepper cook down slightly, about 5 minutes, then add olives and broccoli rabe. Pour broth, wine and butter over the vegetables, then cover and cook for 5-8 minutes, or until broccoli rabe starts to cook down and soften. Season vegetables with salt and pepper (use a 2:1 ratio of salt and pepper - broccoli rabe needs more salt and less pepper in my opinion). Taste vegetables and add more salt or pepper if desired. 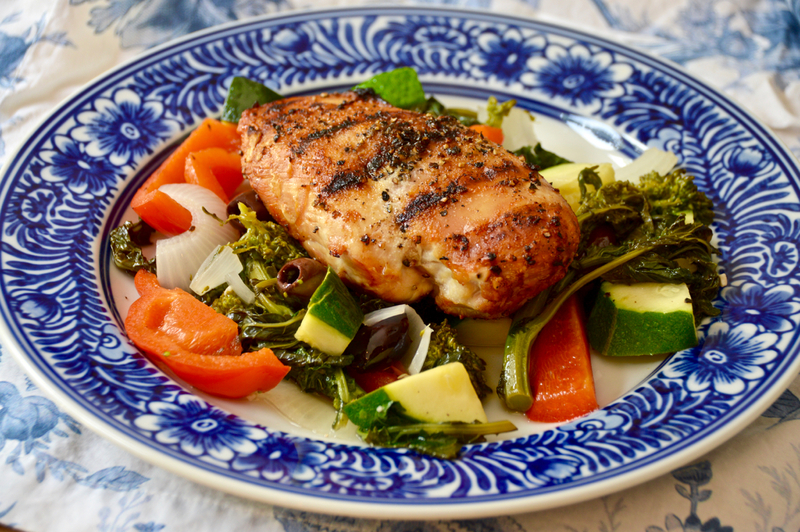 Serve chicken with the vegetables and garnish with some shredded parmesan if desired.